The finest of all bries. Full, rich flavour with a fruity yet mild tangy taste. Brie de Meaux has been well-known since the Middle Ages and has a very distinguished past in which it has been appreciated by writers and royalty alike. Charlemagne enjoyed the cheese; Phillippe Auguste presented it to the ladies at court for New Year’s presents; Henry IV and Queen Margot feasted on it at amorous parties and Louis XVI asked for some after his arrest at Varennes. In 1815, during the Congress of Vienna where 30 European diplomats were assembled for the task of reorganising Europe after the defeat of Napoleon, there was a banquet for the plenipotentiary where each person was served their favourite cheese. As an idea to relieve the boredom of the negotiations, a competition was declared to select the best of all the cheese available. Talleyrand suggested his favourite, the Brie de Meaux, made by a farmer named Baulny from Villeroy, and it was subsequently named "Roi des Fromages", or "King of Cheeses". Over the centuries, the cheese has been widely imitated by both farmers in neighbouring regions and factories – neither of which lived up to the standards of the original. For this reason, in 1980, Brie de Meaux was given a status of Protected Designation of Origin (PDO) to preserve the original region and traditional methods of production. It takes 25 litres of whole, raw milk to produce one brie of approximately 2.5kg. The coagulation temperature must not exceed 37 degrees Celsius. After separating the curds from the whey, the curds are ladled into moulds by hand using a scoop-like too where they drain for three days before being placed on racks and sprinkled with penicillin mould and salt. The whole maturation process takes at least one month, often nearer two, when the ripe Brie's have a rind covered with white mould that is speckled with reddish pigments. The texture should be even and lightly creamy, supple and smooth without being runny. It should have a pronounced and appealing fruity flavour with a suggestion of nuts and an earthy perfume. 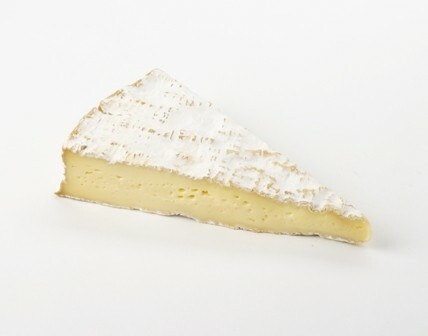 A strong aroma of ammonia is a sign that Brie de Meaux has been over matured.